THIS GRANNY HAS GOT TO GET PREPARED! It was at this moment that I took a look at myself and realized that I needed to work on my health and fitness! Having the new label of grandma was shocking and made me feel like I was getting “old”! The worst part was, that I was almost 50 pounds overweight and when I tried to go onto my lawn to play around with my daughter to do some gymnastics and some cart wheels like I used to… I literally suffered for weeks in pain after that… Which reinforced how old and awful I was feeling! I felt sore, tired, achy, miserable and downright fat and out of shape! It was at that moment I made the determined decision to get myself back into shape! “Seriously!”, I had asked myself…”what happened to your body?” Eugh!!! I took action at this point! I got myself a fitness coach, allowed myself to be “coachable”, joined my coach’s exercise recommended program, started superfood and other supplements to boost my energy and I totally transformed my body in a matter of a few months! I dropped 35 pounds, regained my energy and was even able to run, jump and do gymnastics without pain! Over those few months, my determination and my physiotherapist helped me to overcome my chronic knee and back pain and now I have NO MORE suffering! WOW! Who knew this was possible? In fact, I was so impressed with the coach and the program that I became a coach myself. I was totally inspired and wanted to help others to achieve their health and fitness goals like I did! I learned that anything is possible if you put your mind to it and LISTEN to your coach! 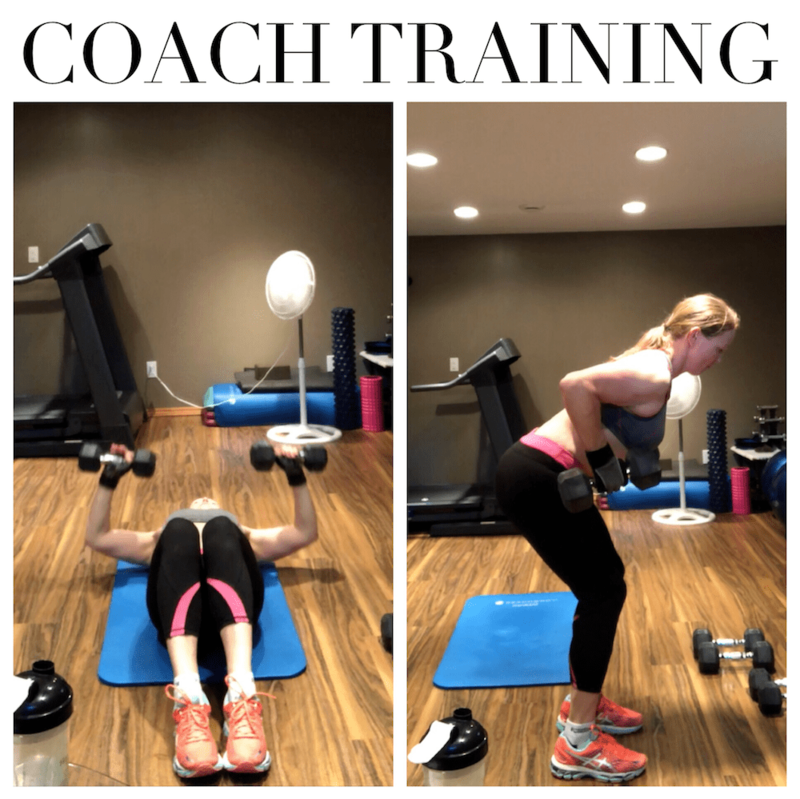 So …fast forward to today… here is me (in photo above) preparing to be the best coach that I can be for my clients… Here I am training to become proficient with the form and the moves for the new upcoming lift and HIIT program starting July 16 to be the best coach possible to support my clients. The answer is YES! …For the upcoming program, I can only take 5 more clients and entry to my program is by application only. If you are a person who is determined and coachable, and want to achieve great things in your health and fitness in 8 weeks, you may want to consider application to this special program. APPLY NOW to see if you qualify to join the upcoming 8 week program! We start July 16 and will need a week priming time to get ready, so I need to receive your application TODAY! Don’t wait! You are worth it!